If you are looking at this post, you know what is this bird doing, he is singing. I am very sure this Tufted Timouse (Beailophus bicolor) is a male. He is singing, chasing others away from his territory and brings food to his beloved mate. 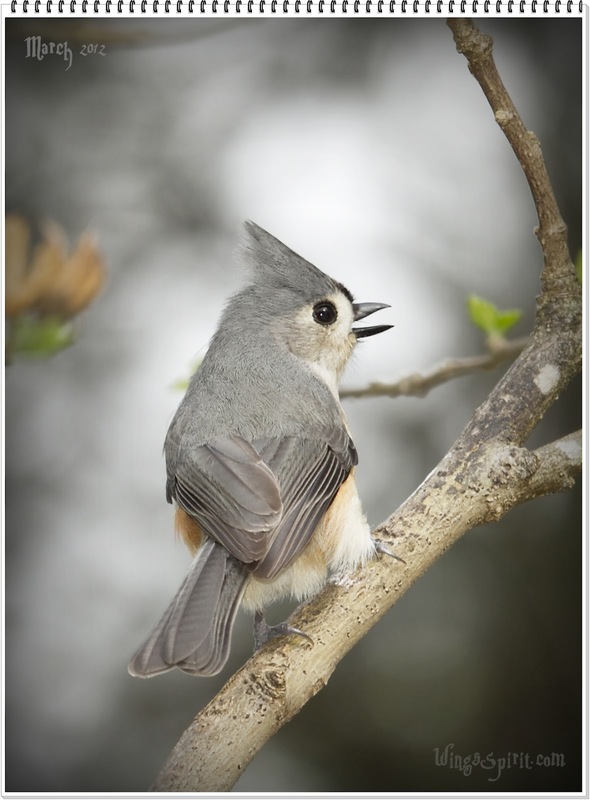 Titmice are very common in the east and southeast woodland regions and they are great singers (click link to hear some of their songs). They might not be the ones waking you up in the early morning, but they sure are the ones bring you a pleasant backyard chorus. Very good website, You do a great job.